I don't know about you guys, but stockings are one of my favorite parts of Christmas. I love thinking of all the fun little gifts that I can put in Steve and the kids stockings. It is our tradition to open all of our presents first and then while breakfast is cooking we go an open our stockings. I don't know if it is because it is the last part of the Christmas gift opening experience or the mystery of not knowing what is inside, but it is just the absolute best. Whether you give big stuff or little stuff, I have got you covered this year. 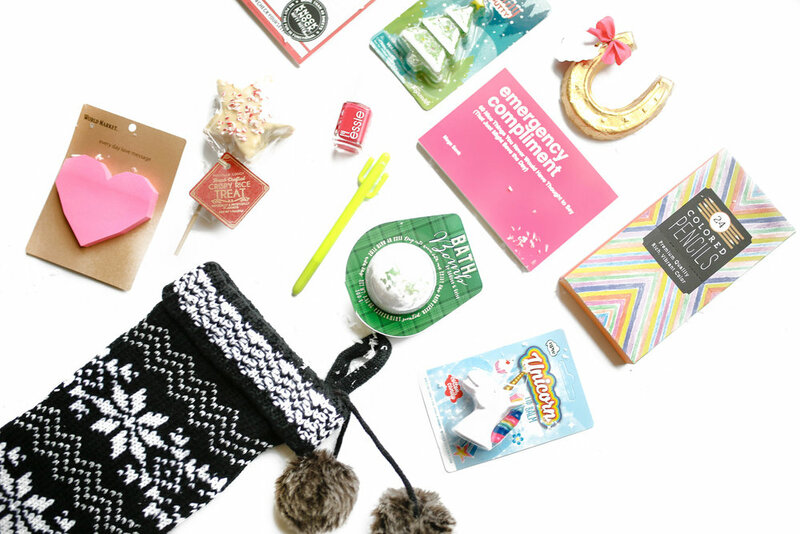 I have created THREE different stocking gift guides for you. 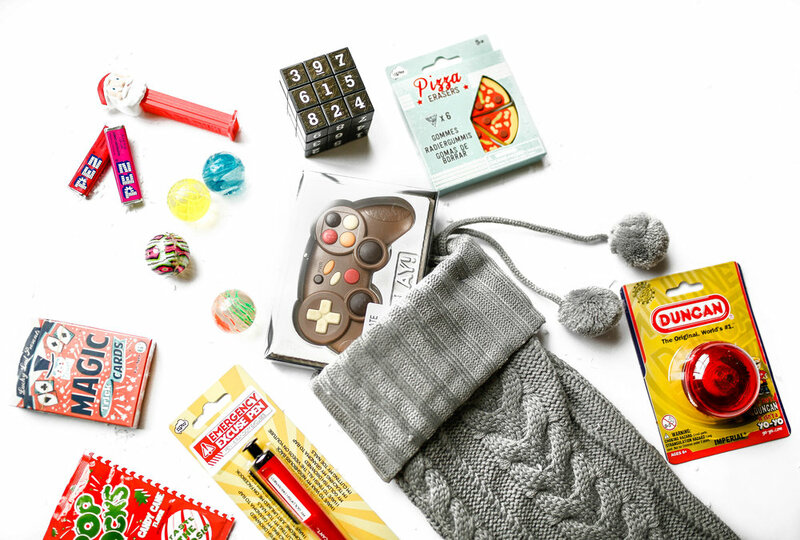 You will find everything you need for the kids, the hubby, and even your own stocking below. These will be my last gift guides for this year. I have had the absolute best time doing them. Seriously, it is one of my absolute favorite parts of my job and I hope you all enjoyed them and found some goodies for people on your gift list...or to put on your own gift list.